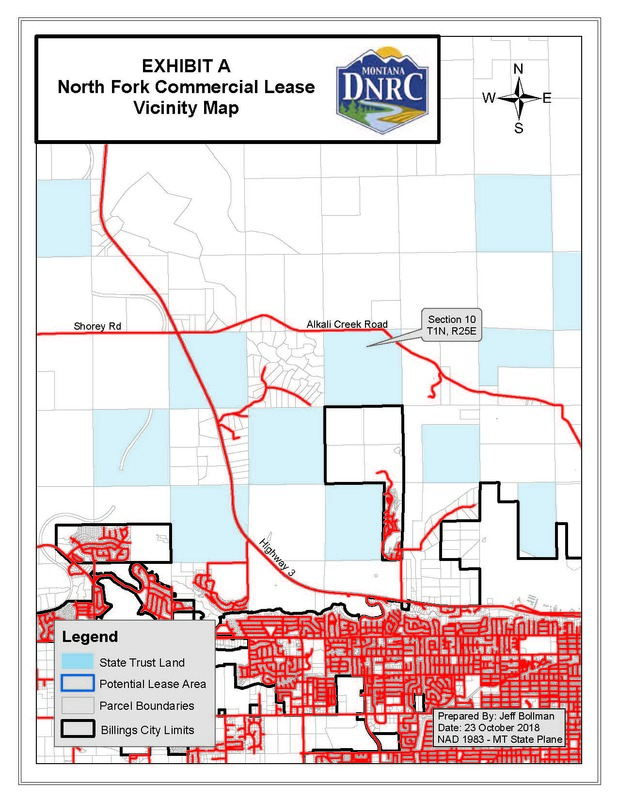 The DNRC uses a Request for Proposals (RFP) process for issuing new commercial leases. The RFP document provides details for the property, including minimum fee calculation, and other minimum qualifications such as lease term, market adjustment frequency, and annual fee adjustments. It also establishes the format and content expectations for any proposal submitted for the lease. A proponent is responsible for submitting a formal proposal that meets the specifications provided in the RFP document on or before the closing date. Properties that are in a “Now Accepting Proposals” status have an active RFP document and a closing date. If you are interested in a listing that is not “Now Accepting Proposals”, please call or email the DNRC contact provided on the listing. 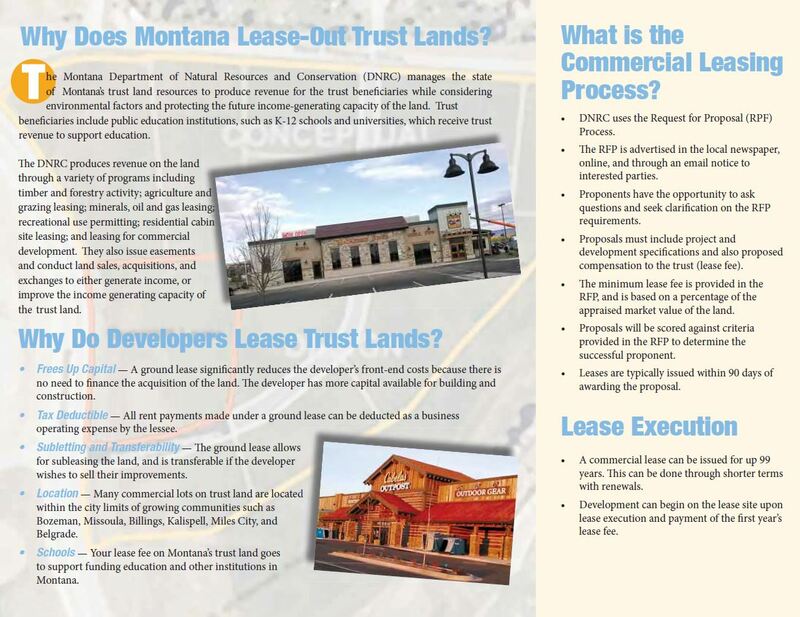 For general information on commercial leasing, contact Gary Zipperian at (406) 444-0915. 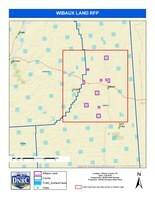 Parcels currently leased for Ag and/or grazing uses. 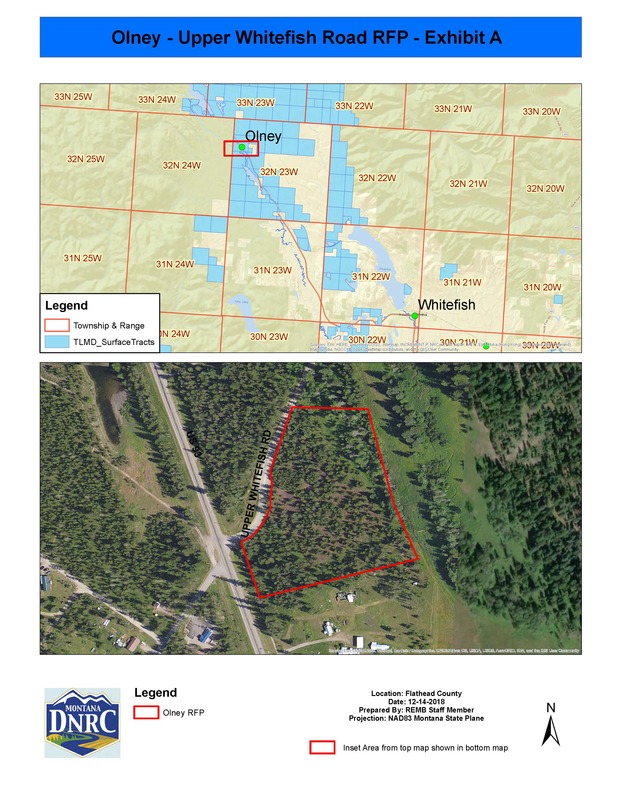 Two parcels have active Oil & Gas leases. Potential use of existing tower - pending lessee acquiring structural safety inspection by licensed engineer & DNRC approval. 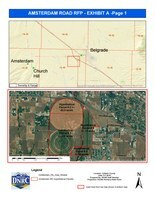 432.5 +/- acres immediately adjacent to the City of Belgrade. Direct access from Interstate - 11 miles to Bozeman. 2 miles to Bozeman Yellowstone International Airport. 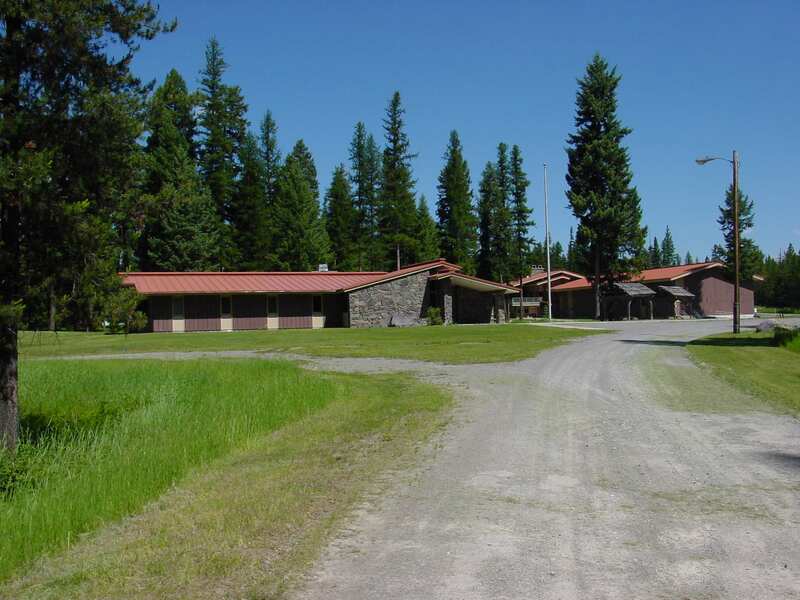 Commercial property located in one of Montana's fastest growing economies - Gallatin County. Fronts on Amsterdam Road - Annual Average Daily Traffic Count of 14,523. 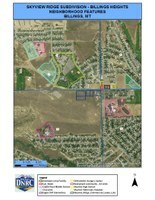 120 +/- acres of school trust land near Billings, Montana. N 1/2, N1/2 of Section 10 - Yellowstone County, MT. 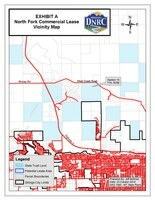 Section 10 is located 3 miles west of Billings. 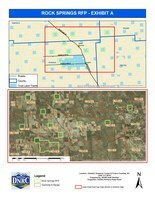 RFP response may include entire acreage or a portion thereof. 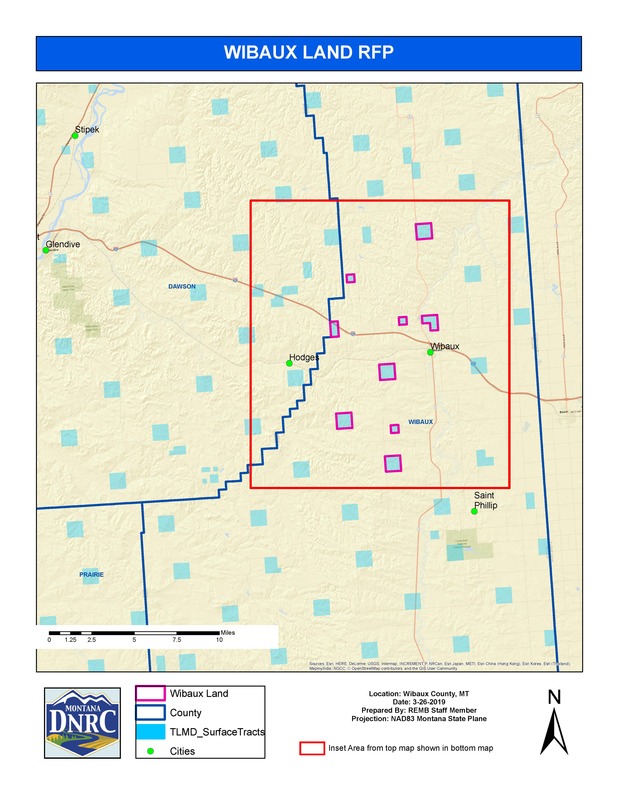 12,553 +/- acres of school trust lands in eastern Montana. Near the towns of Rock Springs and Angela. Currently leased for agriculture and/or grazing uses. Some parcels encumbered by an overhead power transmission line easement. Designated trust beneficiaries include Common Schools, MT Tech, Western/Eastern & Capitol Buildings. 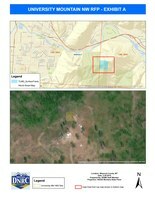 Proponents may bid on the entire acreage or any identified parcel(s) thereof. 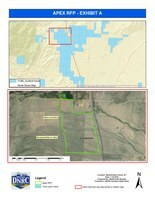 +/- 1,308 acres located 11 miles north of Dillon, Montana near Apex. 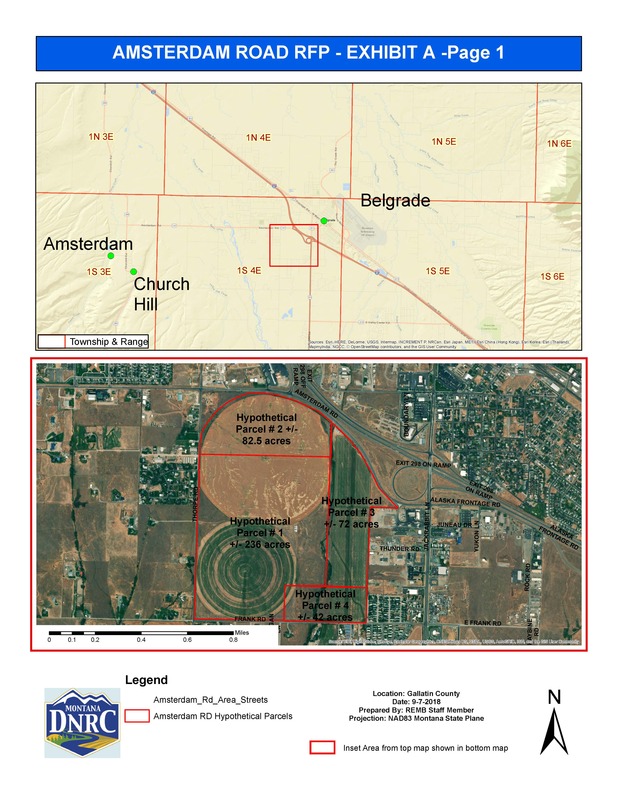 All of Section 28, excluding the area north of Willow Creek Ditch in the NE ¼ & SE ¼’s and the area West of Beaverhead Water Company Ditch in the SW ¼. West half of Southwest ¼ of Section 27. 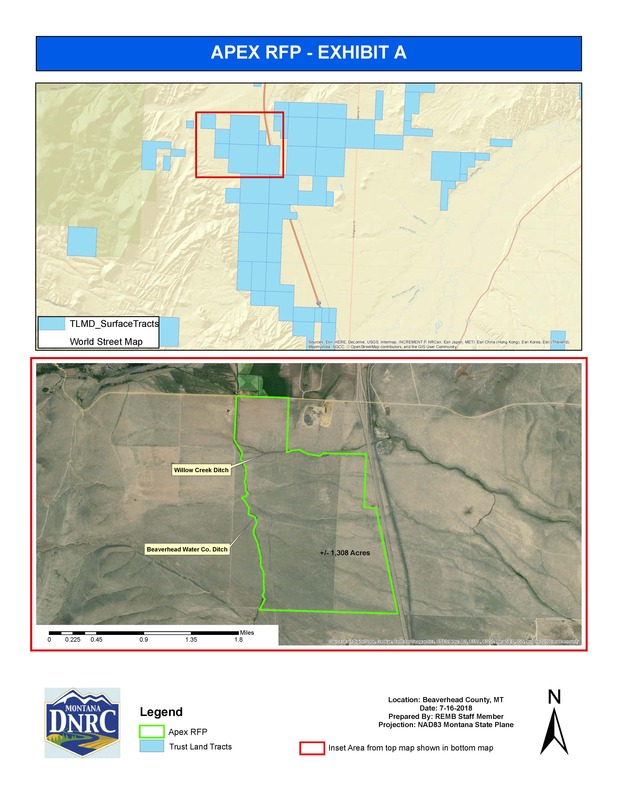 All of Section 33 excluding transmission easement and the area West of Beaverhead Water Company Ditch in the NW ¼ & SW ¼’s . All of Section 34 West of Interstate 15. 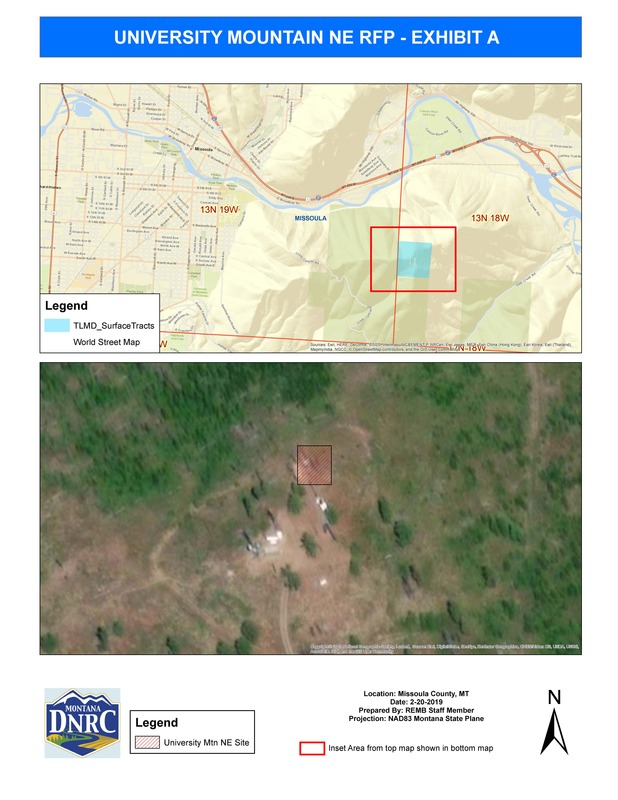 NEW COMMERCIAL LEASE ON CAMP PONDEROSA SIGNED AUGUST 28, 2018!!! Exciting lease opportunity in the beautiful Swan Valley. 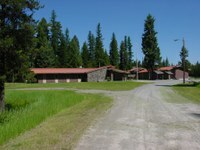 Located in one of Montana's most popular destination areas for camping, hunting, fishing, hiking, boating & snowmobiling. 50 miles from Kalispell International airport and only one hour from Glacier National Park. Easy access year-round. 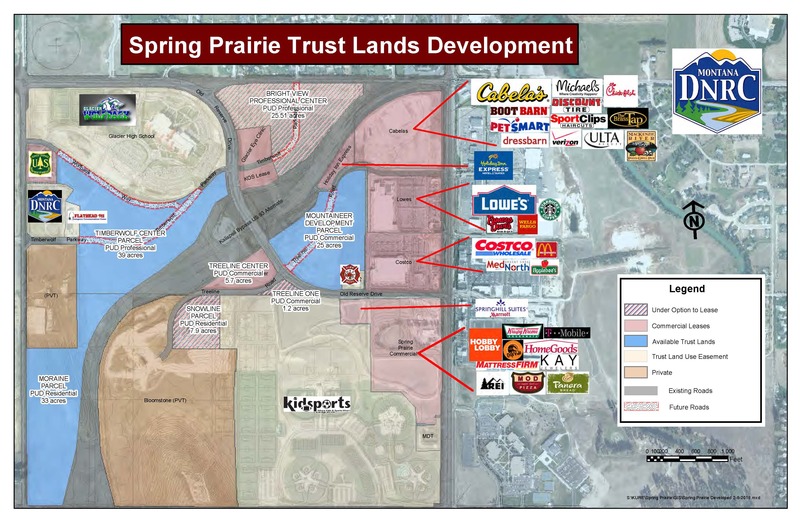 Existing multiple structures with up to 79 acres of land and incentives for potential long term lessee. Approximately 11.32 Acres, Six Lots, Located in Fast Growing Billings Heights. Average Daily Traffic count of 6,110. 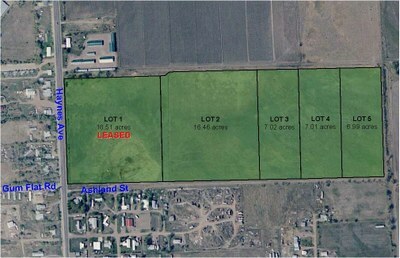 Lots 1-4, Block 1: Zoned Community Commercial. Lot 2, Block 2: Zoned Residential Professional. Subdivision within the Kalispell City Limits near multiple retail stores, Glacier High School, and Kid Sports Ball Fields. Bisected by US93A, aka Kalispell Bypass. Available properties are zoned commercial, professional and residential. 38.55 acres in 4 platted lots available in eastern Montana. Lots can be aggregated or boundary lines adjusted to suit. Adjacent to Montana National Guard Armory. Served by City water and sanitary sewer. Join the list below to receive notices by email of state commercial lease opportunities.